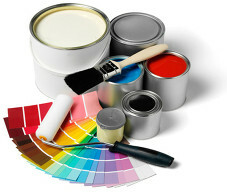 We are based in Los Alcazares and can cater for all your painting and decorating requirements. Areas already covered include Los Alcazares, La Torre Golf, Las Terrazas de la Torre Golf, Hacienda Riquelme Golf, Mar Menor Golf, Roda Golf, Los Najeros, Sucina and surrounding areas. English Painters, Mar Menor region. Joe's Painting Services Mar Menor have many years experience gained both here in Spain and the UK. We always give a value for money service as we are a totally honest and reliable company. From metal gates and doors to complete interiors or exteriors, Freshen up your home today. Please give us a call for free no obligation quotes and advice. Properties always look better with a fresh coat of paint, get more bookings and get those very important positive online reviews.